There’s nothing better than being out on the water with loved ones. But have you thought of owning a boat? Many Floridians take pride in boat ownership. Especially if you’d like to spend more time with family and friends, having a boat to call your own makes a lot of sense. The reality, though, is that it can be overwhelming trying to buy a boat for the first time. How do you know which one is right for your family? What sort of price range should you be looking at? Keep reading as we offer some advice for first-time boat buyers. Find the right type of boat – There are a number of recreational power boats on the market. What makes sense for your neighbor might not be the most sensible choice for you. Take cruising boats, for example. These are designed for traveling and entertaining guests. If day cruising sounds appealing, then you may want to go with a cruising boat. Then there are fishing boats. As opposed to cruising models, fishing boats are designed with open cockpits to make it easy for the angler to move around. Lastly, there are watersports boats. If you’re more of an adrenaline junkie and enjoy water skiing, wakeboarding, parasailing, or scuba diving, then this kind of boat is the one for you. Choose between new or used – Similar to buying a car, there are pros and cons to buying both new and used boats. Just be aware that purchasing a used boat increases the chance that something will go wrong. Our piece of advice? If you’re planning to get the most out of your boat, it’s best to just invest in a new one. The last thing you want to worry about is unexpected repairs from an older boat. Do some research on your own – Buying a boat is a major decision. Take some time browsing reputable manufacturers and models. Don’t be afraid to look through reviews and what other boat owners have to say. If you have friends, family members, neighbors, or co-workers who own a boat, ask them about what they would recommend. Ultimately, though remember this is your decision. Get your Boater Education Card – Florida requires a Boater Education Card rather than a boating license. To obtain this, you must complete a boater education course approved by the Florida Fish and Wildlife Conservation Commission. 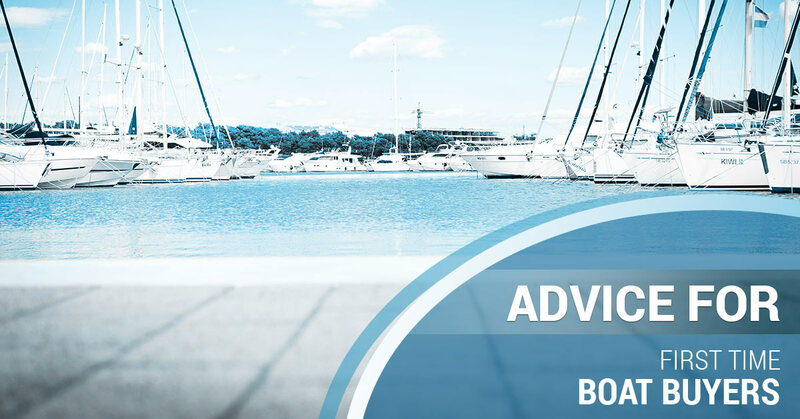 Expect to learn how to operate and maintain a boat, the legal requirements for boating, and what to do in cases of emergency. 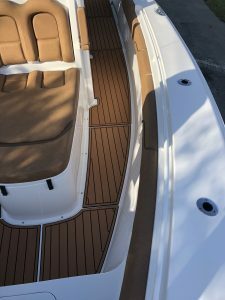 Invest in high-quality boat decking – We are proud to be a certified fabricator, installer, and supplier of marine decking. 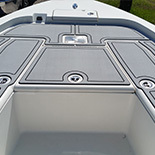 With Marine Customs, you get a simple and practical alternative to traditional non-skid surfaces for boats. Thanks to our non-skid decking, you no longer have to worry about safety issues for yourself or other passengers on the boat. The non slip decking we use not only offers maximum wet/dry traction but also complete customization on your end. 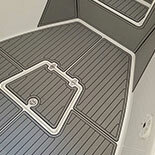 Your first boat deserves the best when it comes to anti-slip decking. 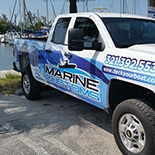 Call Marine Customs in South Florida to get started.